David Swinson is the author of the critically acclaimed crime trilogy which includes The Second Girl, Crime Song and the just-released finale, Trigger. A former police detective for the DC Metropolitan Police who now calls Northern Virginia home, Swinson got his start in LA as a punk rock concert promoter, a record store owner, music video producer and independent filmmaker. A. F. Brady is a NYS Licensed Mental Health Counselor born and raised in Manhattan, currently living in New York with her husband, their children and their dog. 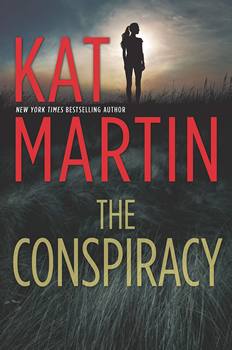 Her first novel THE BLIND (Park Row | Harlequin Books) was published in September 2017. In addition to writing, she currently works as a psychotherapist in private practice where she works with individuals and couples. She also runs a professional organizing and design business based in the idea that mental health is affected by our home environments. Rick Treon is a member of the International Thriller Writers, the Writers’ League of Texas and the Texas High Plains Writers. Prior to writing suspense novels and personal essays, Treon had a career in journalism that included reporting for the Fort Worth Star-Telegram, reporting and editing at the Amarillo Globe-News and serving as managing editor for The Kerrville Daily Times. He still lives and writes in Texas. James Grippando is the winner of the Harper Lee Prize for legal fiction and the New York Times bestselling author of 26 novels of suspense, including the popular series featuring Miami criminal defense attorney Jack Swyteck. His latest, “A Death in Live Oak,” is the 14th in the Swyteck series, and No. 15, “The Girl in the Glass Box,” will be published in February 2019. His novels are enjoyed worldwide in 28 languages. Raised in a historic small town in the shadow of the Blue Ridge Mountains, Victoria Gilbert turned her early obsession with books into a dual career as an author and librarian. Victoria’s first cozy mystery series, the Blue Ridge Library Mystery series, garnered her a three-book deal with Crooked Lane Books. The series has recently been expanded to five books. The first two books in the series have been optioned by Sony Pictures Television, and were produced in audiobook by Tantor Media. A MURDER FOR THE BOOKS, the first book in the series, was a Southern Independent Booksellers “Okra Pick” and was longlisted for a Southern Book Prize. Victoria is a member of Mystery Writers of America, International Thriller Writers, and Sisters in Crime. Meghan Holloway found her first Nancy Drew mystery in a sun-dappled attic at the age of eight and subsequently fell in love with the grip and tautness of well-told mysteries. She lives in the foothills of the Appalachians with her standard poodle and spends her days as a scientist with the requisite glasses but minus the lab coat. Her novel ONCE MORE UNTO THE BREACH will be published in May by Polis Books. The most enjoyable way to research is to have an immersive experience over time. I’ve learned most of what I know about patrol officers by reading Connie Fletcher’s books as well as numerous cop memoirs, not to mention many of Joseph Wambaugh’s books. For Wambaugh, both fiction and non-fiction serve, which brings me to my favorite research comment; don’t overlook fiction. It needs to be fiction that gets things right. I’m not talking about CSI or NCIS, which can be entertaining shows but bear as much resemblance to real police work as an onion does to a carrot. Find people who know what they’re talking about and cross-reference them. I’ve learned a lot of how to do an interview from reading one of this week’s contributors, David Swinson, along with Wambaugh, and watching the TV series Homicide. You need to be sure the fiction is authentic fiction, but once you find it you’ve killed two birds with one stone: you know how things work, and you know how to make them entertaining. I could go on at length about this element of research. If anyone reading this sees me at a conference or other event and wants to discuss in more detail, just ask. I’ll talk about this stuff all night. “The most enjoyable way to research is to have an immersive experience over time.” Yes. I agree with this 100%. I watch a number of true crime documentaries, and I found it incredibly beneficial to actually work in law enforcement. I did not set out to work in law enforcement to enhance my writing of thrillers, but my experience working in a records department of a PD while getting my masters certainly expanded my knowledge in the area. I love these “author police academy” type programs I see becoming more popular. Those seem like a great resource to add more authenticity to that immersive experience. I haven’t attended one yet, though. My background is in library and information science, so to say that I love research is a bit of an understatement. I began writing ONCE MORE UNTO THE BREACH in 2014 but my writing was interrupted by my graduate work, and I put the story on the back burner while completing my masters. Though my writing for two years was purely academic and my novel pursuits were put on hold, I used the time to dig deeper into the research well for the story I knew I would write. As much as I love research, I recognize there are some pitfalls an author can become ensnared in. It is incredibly easy to become so bogged down in research to the point where you cripple yourself. I was hesitant to write a period piece once I began researching, because I realized that I could spend the rest of my life researching the WWII era, and I would still not know everything. It is easy to doubt your ability to portray an era authentically when you become mired in the research. It is imperative that you find reliable sources of information and that you do not merely rely on the internet for research. Wikipedia may be a good base camp, but you must venture out from there. A good place to figure out where to explore from there is the source notes included in the entries. And finally, one of the challenging things about writing is creating a seamless balance between story and rich detail fleshed out through research. It is easy to get carried away with including every fascinating tidbit you find related to the period or the subject matter; I had to be mindful of adding detail only as it related to the plot and furthered the tale. There is a difference between rich detail and enriching detail, and it is a fine line to walk, particularly with a historical setting. Good point about working in the research, Meghan. I like to say that the best place for research is between the lines. Absolutely, Dana. I can tell when an author was excited about some meticulous research, because it almost always comes through as an info dump. I have to be leery of doing the same thing myself. I’m always worried about using industry jargon or shorthand and splicing it with too much explanation. On the one hand, this is what we say! On the other hand, no one knows what it means! It’s hard to find a decent balance without coming across as wrong for the parties who know the jargon or wrong for the parties who don’t. I had a villain who had a military background (wasn’t why he was a villain, just a part of who he was), so I had him “mansplain” to a woman a few terms in dialogue. I figured this was a way to make him seem like the a$$ he was, but also make sure anyone who didn’t know what the acronyms were wouldn’t be left out. I think it worked, though I haven’t gotten any comments either way. That’s a good instance, AF, and a tough one to know how to balance. There is definitely a fine line. I know as a reader, I’m never quite able to read a book without some part of my writing and research brain kicking it. So for me, I don’t mind doing research on a particular phrase or jargon I come across in a book I’m reading. That’s my natural inclination anyway. But I try to remember when I’m writing that I don’t want readers to feel themselves pulled away from the story with a need to research something. I love research, which is probably one reason journalism appealed to me so early in my life. Of course, there are two types of research: the kind you do by looking up documents, and the kind you do by going out into the world. I find both necessary, but the latter is definitely more fun. I did almost all the drafting and editing of my first novel as a working journalist, which provided most of the research I needed for the story I was telling. But for my second novel, I wanted to have a cast of characters who were not journalists and who had an interesting profession that could tie into a thriller plot. I started with one that was too boring and I had to stop writing. But after talking with a friend, I realized that what he did not only provided me with a fascinating subculture, but there were plenty of ways to kill someone and to hide a dead body. What else could a thriller writer ask for? My friend is an oil pipeline welder. Those welders are allowed to have their own personal “helpers,” which is literally the job title. The welders bring their helpers onto job sites, so part of my research for the novel was being a working pipeliner for four months last year. I know not everyone can work a new job as research (like being a detective or private investigator, etc. ), and I may not have been able to do so were it not incredibly easy to get hired. There is no interview process. You show up at the site with your welder, fill out the necessary paperwork and take the drug test (or physical, depending on the oil/gas company), and you’re working the next day. Like I said, a whole world that’s just so different from what I (and I suspect most writers) was used to. That is probably the best research I will ever be able to do for a novel, unless I find myself kidnapped by a lunatic someday. The hard part for me, as it is for all writers, is knowing what details and stories to keep in and what to cut. I really like this distinction, Rick: “two types of research: the kind you do by looking up documents, and the kind you do by going out into the world.” I think the kind you do by going out in the world definitely lends more nuance and authenticity to the work that is easier to incorporate in a way that does not come across as an info dump. I research when I need to know something specific about a subject or whether some plot point is feasible. I write about ordinary people rather than military or police so being an ordinary person I draw mainly on my own experience of the world and how people act/interact. For my last book I needed to have more than my distant pony club days info on horses so I visited a local horse stud, met the owner and some beautiful animals, and also chatted to a horse owning friend. Couple that with some internet information about veterinary treatments and that’s the sort of research I enjoy! For the current wip I contacted a local gun club for details about gun ownership because Aus gun controls are very strict. I found out all sorts of interesting things from the person I emailed with but she was wary about giving out too much detailed info until I told her the benign, general sorts of things I wanted to know. I love reading historicals but there’s no way I would do the research needed to write one. In fact I had an idea for one but contacted a friend who writes them with a view to a collaboration. Too lazy, that’s me. Research is absolutely necessary when you’re writing thrillers…and it’s a part of the process I love, perhaps because I come from a family of journalists (and was one once). The danger, for me, is that the more I learn about a topic, the more I want to learn…and it’s easy for me to end up spending far more time than is necessary on the research (it’s also a great form of procrastination.. you can fool yourself into thinking you’re working instead of actually avoiding work). I can talk to dozens of experts, and read three or four books and countless articles, for what might end up being only a few lines of dialogue or description in the book (or, OTOH, what ends up being the core of the story). But that’s always better than writing pages of exposition, description, or dialogue to show off how much research you’ve done. I’m a big believe that one sentence offering a telling detail is far better than a paragraph of description. That said, having the “extra” knowledge on a particular topic in the back of your mind as you write ends up deepening the story and the characters in subtle ways… and often, at least for me, research inspires new characters or plot twists that I never would have come up with otherwise. Travel is my favorite part of research. Sure, you can use guidebooks, watch Bourdain or Rick Steves episodes, and do a deep dive into Google Earth to fake it, and I’ve done that a few times out of necessity, but I truly believe that nothing beats “feet on the ground” to get that tiny detail, smell, taste or sound that will bring a place, a moment, or a character to life. It’s important to truly experience the place you are writing about. That means not just hitting the tourist spots, but the places where the “locals” iive and work. It also means being gregarious and talking to those people — so you can create realistic characters who truly reflect the places you’ve been. I usually already have my story in mind before I travel for research… but inevitably, my story changes dramatically after what I learn from actually experiencing a place I only imagined as I was plotting. To write my books, I’ve traveled to France, China, Australia, Belgium, Canada, Germany, and all over the United States, among other places. But travel research can mean just stepping outside your door and seeing your own city in a new way. I’ve lived in Los Angeles for over 30 years. In my novel THE WALK, a guy is stuck in downtown in LA when the big one hits and has to walk across a landscape of destruction back to his gated community in the San Fernando Valley. I know the L.A. well, but I still read a bunch of books and articles on the city, the architecture, and the neighborhoods that make it up, on earthquakes and what experts expect the damage from The Big One is likely to be. I had the story plotted out but then decided, if I was going to do this right, I really needed to take the walk myself. And when I did (not all at once, like my character), I saw things that made me rethink my plot and I picked up the key details of place and character that made the book come alive. When it was over, I had a better understanding, and a new affection, for the city I live in and thought I already knew. M using for my novels. I love talking to police officers and legal experts, and I find that so many people are generous with their time and knowledge and so willing to help. I love hearing their personal stories. When I was writing THE BLIND, I set it in a world that I know very well, a mental health facility much like the ones I’d spent most of my career working in, but I still did an enormous amount of research. I realized that just because I have a lot of experience, doesn’t mean it will be in line with the experiences of others, so I wanted to ensure I had a well-rounded portrayal of my settings and characters. I will always have a love of learning, and research just broadens my understanding of the world, which is something I will always value and appreciate. Even when it throws a wrench in the operation… I would rather know than not know. When I spoke to the horse stud owner she totally demolished my basic idea with fact. It’s now pretty much impossible to substitute one race horse for another the way it was done in a famous con in Australia back a few decades ago because now they’re all micro-chipped. She helped me come up with another scenario though. And yes all sorts of fascinating little bits of info are tucked away at the back of my brain from researching odd things. And from reading books all my life. Don’t you hate it when facts get in the way of a good story? Lovely that you were able to figure out a new plan of action though! I struggle sometimes because I am a licensed psychotherapist, and I’ve been working and studying for nearly twenty years in the business, but some of the commonly held beliefs about mental health are not totally accurate, so when I write things that are clinically accurate, some readers don’t believe it! I hope I’m helping to educate a little bit, I would love for people to have a richer understanding of mental health and mental illness. Here’s to hoping! “I had a Law & Order sense of timing before I did all the legitimate research.” I definitely did as well until I started researching and watching true crime documentaries. Those test results and autopsy reports are definitely not back while the suspect is still sitting in the interrogation room. As I am a retired librarian, I guess I’d have to say that research is second nature to me. That doesn’t mean that I always love it, since I can still get frustrated when all my efforts lead to dead ends (despite what people think, sometimes there is no “one answer” or “right answer” to a query) but I am experienced in using all types of sources to find information. One thing I always told my library patrons is that not information is available online. There is an economic aspect to online resources that many people don’t understand. It takes time and money to digitize data that originated in print form, and if there is no financial incentive for reformatting older materials, often they do not get digitized. That’s why it’s still important to use libraries, archives, museums, and other information repositories to supplement online research. This is especially important if you are writing works based in historical time periods. I also like to use primary source materials, when available, as they are not filtered through a modern lens. Reading letters written by soldiers in the Civil War can be much more enlightening, especially in terms of understanding the varying viewpoints of the time, than just reading the facts in a history book or collecting information from a website. It also provides more insight into the human condition of the times, which to me is more beneficial for developing well-rounded and authentic characters. One aspect of research that I love is how it broadens my own knowledge base and understanding of the world. There is always more to learn, so I look at the research for my books as part of my lifelong learning. I tend to collect more in-depth research than I could ever use in my books, but that’s fine — I never feel that knowledge is wasted. Even when I know something about a topic, I always learn more, and that’s exciting to me. For instance, although I have a background in art history, when I researched the topic of art forgery and theft for the second book in my Blue Ridge Library Mystery series, I discovered some amazing facts that I never knew before. Did you know that some experts believe that up to 40% of the art in galleries is fake? (Perhaps it is a copy from hundreds of year ago, but it is still “fake”). Discovering the extent of forgery in the art world made me reconsider my own connection to art. If this theory is correct, it is likely that I have viewed, and admired, many pieces of art that were created by someone other than the acknowledged artist. It makes me question whether I would have felt differently about those pieces if I had known that they were copies or fakes. Which begs the question: How much of our appreciation of a piece of art is based on the fame of the artist, rather than the work itself? It’s this type of discovery — the kind that makes me question my own assumptions and worldview — that truly makes research thrilling and enlightening, and worth the effort even if it isn’t always the information I end up including in my books. “…is that not ALL information is available online.” <– This is why writers need editors. I am fortunate because the research I occasionally have to do only involves a phone call or an email to one of my cop or prosecutor friends. I write based on my experiences as a former police detective, so my research is easy. But it doesn’t matter how much you know with respect to crime, narcotics and police or legal procedure because it is always evolving, especially police procedure. Much of it has to do with the use of force. Also, certain illegal drugs that are around now, weren’t around when I was working. I have to make a call to find out what is popular or new. Of course, crack, weed and heroin are mainstays. I don’t believe they are going to go anywhere soon, but being retired, and off the street, I do depend on those friends. I don’t have to research what it’s like to be an officer or a detective. It’s in my blood. I lived it, and that part will always be with me. The fact that a career LEO still feels the need to go back to his fellows who are still on the job to keep current with techniques is part of the reason why I set my Penns River novels in a small, impoverished town: they can’t afford to be state of the art. This allows me to cherry pick which technique can help the book most, either by helping the cops or hindering them because they don’t have it. It also gives me the freedom to say, “Screw it, they don’t have that” if i start too far down a rabbit hole on research. I was actually thinking about writing something in a tiny MN town for that reason. This past summer I lectured at a training seminar for death penalty lawyers. It’s called the Persuasion Institute, a writing program started by John Blume, the director of the Cornell Death Project at Cornell School of Law. The idea is that “truth is in the telling,” so when a lawyer writes a brief to challenge a death penalty conviction, the lawyer is telling a story, and way the story is told can reveal unknown factors and shape opinions. The importance of research was a key point in my presentation. A thriller writer uses an economy of words, so it’s important to choose the attributes that convey the most information to the reader. I look for that “one thing” and use it in my writing. For a book called “Intent to Kill” set in Pawtucket, Rhode Island, I wandered the streets for hours until I found that “one thing”: embedded on the cracked sidewalk of hardscrabble neighborhood was the original 1939 WPA medallion, still there. Then I went to Austin Texax, to research UT Longhorn baseball (my lead character played college ball at UT). Again I found that “one thing.” As players leave the locker room the step onto the field, the last thing they see is an enormous signed on the locker room wall: “The pride and tradition of the Texas Longhorns will not be entrusted to the weak or the timid.” What more do you need to know about a place or a culture? Gems like these not only make your writing more efficient, but it ensures that your details have flare that will engage your reader. I attended a homicide investigators training conference almost two years ago — I was one of only three civilians invited — and I did it as research for a book I was thinking about writing (and had already loosely plotted). While I was there, however, I learned about a case that I couldn’t get out of my head. I was smart enough to throw out my story and to focus instead on using this real case as the inspiration for my novel. I introduced myself to all the detectives, forensic specialists, etc. who were there to present the case, told them I intended to write about it, and asked if they would let me talk with them in more depth in the weeks follow the conference. They all agreed. The novel that came out of that wonderful research experience, LOST HILLS, is being released this fall and I’ve already signed to write the sequel. The book would never have happened if I hadn’t done the research my story…and been open to the inspiration that can come when you begin exploring the “reality” and is the foundation for our fiction. That is so cool! What an awesome experience. I love when inspiration comes and slaps me in the face! Those are great. When I was a detective the department put me through homicide school. The best part was a two week course at the morgue. I don’t know if civilians are allowed, but it’s worth checking wherever you live. Sounds like you’re getting the real deal training. You’re lucky to get into that course. Ours was eight hours a day for three weeks. Five weeks if you include the morgue. I, too, love research! As someone who wrote historical novels before I wrote thrillers, I really loved those dedicated months of pure study before I even started outlining the novel. And it always goes in that order for me: research first, then outline. My favorite part of researching any novel is traveling. I think there’s something magical about smelling the smells, (eating the food! ), hearing the sounds, even if the story is set years–or even centuries–earlier (or later). Laying down the groundwork for stories has taken me from Israel to Eastern and Western Europe–as well as fly fishing in Maine and anywhere the Boston T could take me. My other favorite is rabbit trails. Research for my new release, The Line Between, was a mixture of scary headlines about organisms re-emerging from the melting permafrost, prion disease, big agriculture, and the long-term effects of a crippled electrical grid. But it was special and fun for me in that it’s the first book I’ve set in the Midwest where I live, including the rural roads of my home state of Nebraska. Probably my least favorite aspect of researching books is organization. I prefer super-organization, and used to meticulously keep folders and files, and then switched to Scribner about 6 books ago, which was far more convenient and visual. The only thing is that in the flurry of deadlines and reading stuff on my phone in bed, etc. I have yet to find a way to keep the stuff I screenshot on my phone or mail to myself when I should be sleeping better organized. I use Evernote to organize all of my research. I love research–for me, it’s one of the best parts of novel writing. If something doesn’t interest me, I wouldn’t bother writing about it, so the story just becomes a reason to delve into something that already intrigues me. There are a lot of kinds of research–reading, traveling, talking with experts–and I think the one that’s probably least well understood is Internet research. What I mean is, the Internet is an amazing tool–not for developing expertise, but for developing a better understanding that can give you a framework for deeper inquiry. Sometimes I think Internet research gets a bad rap because there are lots of “Internet Experts.” But again, the Internet isn’t designed to develop expertise, any more than a hammer is designed to saw wood. It’s designed to build a foundation. And for that, it’s fantastic. I like to read up on a subject, get as familiar with it as I can online, and then my conversations with actual experts and travel to actual places is infinitely more productive. Put another way, I think you could say that properly used, the Internet might be better for developing questions than it is for providing answers. Good thoughts on the Internet. Talking with experts is always better, though I will admit to using Google. But nothing beats being there and talking to the folks, that’s for sure. Also, what’s your favorite single malt? Ah, that’s a tough one…in warm weather, something with a lot of sherry. Macallan is always great, though their prices have gotten ridiculous. In colder weather, something with more smoke and peat, like a Lagavulin, Laphroig, or Talisker. Love Macallan (but, like you, not their prices). Had a bottle of 18 that got me through last year. Right now I’m about to finish off a bottle of The Balvenie Carribean Cask 14. Different, in a good way. I’ve never been much for super smoky Scotch. Then again, I’ve lived in Texas so long actual cold weather is not a concept I’m totally familiar with anymore. You can’t trust Google for certain things, like slang, narcotics and police procedure. It i different from city to city and jurisdiction to jurisdiction. Yet another reason to use a fictional town. 🙂 I hear that’s why Ed McBain dressed New York as Isola, so he didn’t have to worry about getting the procedures exactly so, just that they were reasonable procedures. Research? I neither love nor hate it. I FEAR it. Research is like a prescription drug. Without an adequate dosage, your novel could die. The danger is that too much, too soon, can kill your creativity. Trust me on this, I’m a doctor (no, really). It’s different for all writers, but in my initial drafts I want ideas to flow from my subconscious like blood spurting from a major artery. I can clean up the mess in revisions, and treat any failing organ systems with a tincture of research in later drafts. My recommendation: Apply research sparingly, use as directed, and discontinue use ASAP. The book I’m ploughing through at the moment is an example of too much research all of which is dumped into the book. It’s set in Australia but the detective is foreign and so is the author. The case involves the murder of a student from his country. Maybe foreign readers would find it interesting but one of the Aus characters (an indigenous policeman) proceeds to give pages of lectures on the history behind everything they come across–you name it, it’s there. Somewhere buried beneath it all is a mystery to be solved but I’ve lost track. I will finish it, its a challenge–like climbing a mountain. Can’t believe no editors circled those pages and just wrote INFODUMPING in huge letters, haha. Or, if they did, I wonder why the author thought that’d be the better way to go. Like climbing a mountain is right! I understand why authors would want to utilize all the information they’ve gathered in their agonizing research, but it can be rough trying to get through it when it’s presented the way you’ve described.